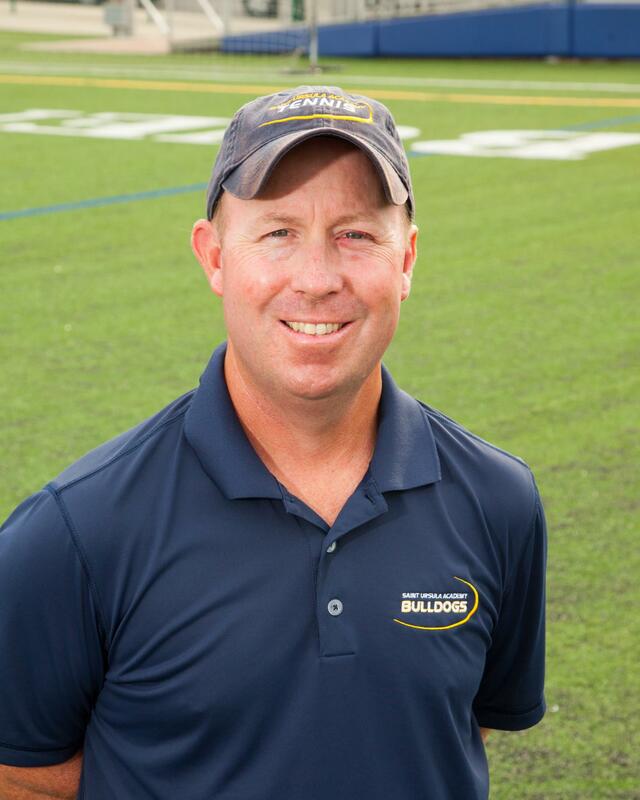 Jason is entering his 3rd season at SUA and second as the Varsity A tennis coach, having previously served as the Varsity B tennis coach at SUA in 2016 and Junior Varsity coach at SUA from 1996-1997. He will be entering his 23nd season in Spring 2018 as Varsity A Assistant Head Coach at St. Xavier HS under Coach Russ King. He also served as the girls Junior Varsity A tennis coach at the Seven Hills School from 2003-2007. He is a 1994 graduate of Xavier University where he played four years (1990-1994) under legendary tennis Coach Jim Brockhoff for the Musketeers. He is a 1990 graduate of Bishop Watterson HS in Columbus (OH) where he was a four year letterman on the Varsity tennis team. He currently works in marketing at Procter & Gamble. Jason and his wife Jill reside in Madeira with their three daughters, Josie, Justine, and Julia.